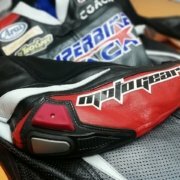 Let me introduce to you Moto-Gear, a motorcycle leather specialized factory. 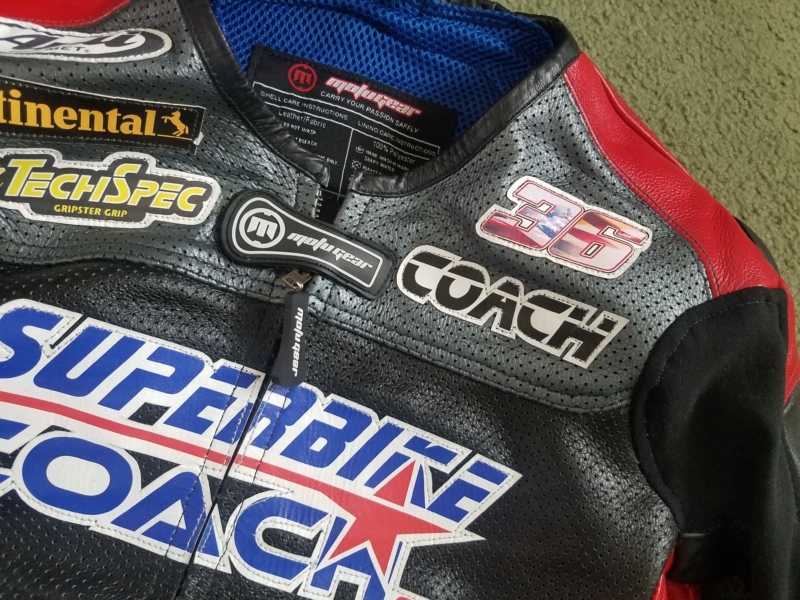 What’s so special with them besides that they sponsor Superbike-Coach now?… they are able to make quality leather suits exactly the way you want it, for way less then stock suits of their competitors. So besides custom measurements- the entire suit can be designed the way you want it. And this is how I got it from Moto-Gear withing a couple of weeks. I actually got two, but there was something wrong with our measurements- but here is the thing… Moto-Gear just took it back and corrected it without complaining or asking. That is service! The pictures below show the suit goes through production, and you can tell their eye for detail to get it as close as possible to the draft. 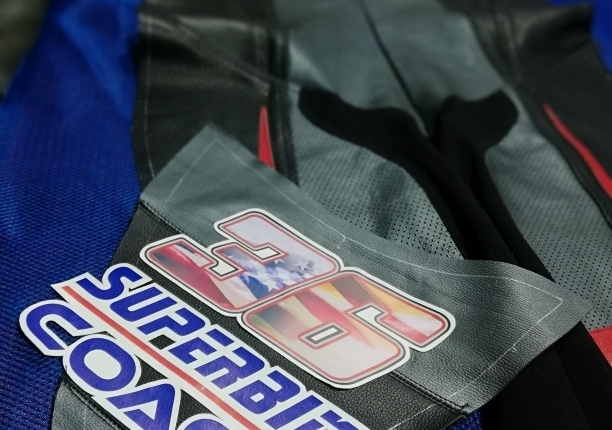 What I really like are the sponsor patches and my 36, which is all printed. Suits are starting at $650, and yes the extras cost you a fee- but also that pricing is oversee-able and won’t kill you financially. 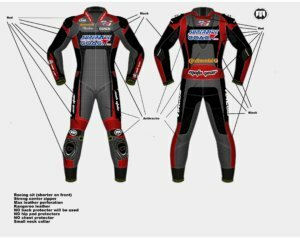 For the 2nd suit I even could drop off special requests which are not on the portfolio, like no collar around the neck (that’s how I use to have all of my race suits in pro racing)- or the racing hump size on the back. The biggest upgrade you can do is to go with Kangaroo leather instead of Cow. 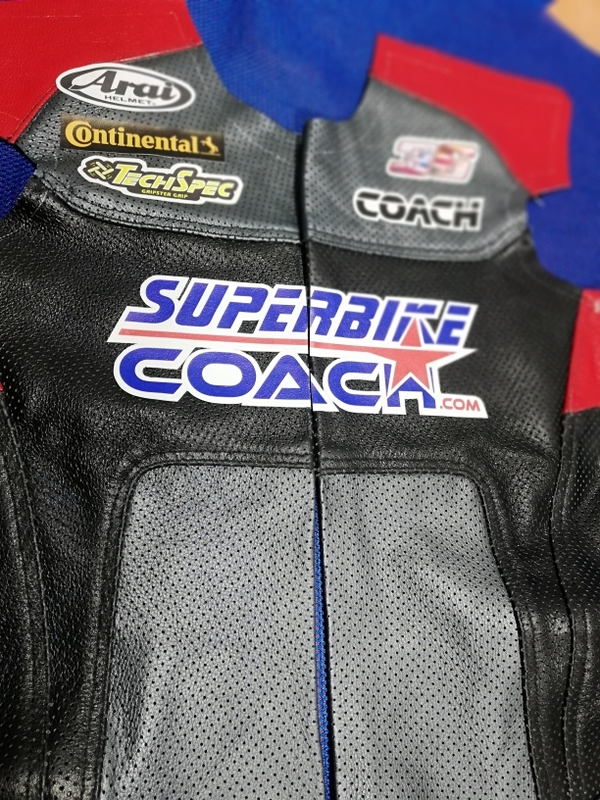 I use to always have Kangaroo leather in racing because it’s lighter and can take more. Though I had to let that go for a while when I went with other brands. Now, finally after all those years I can surround this body with this luxury again. 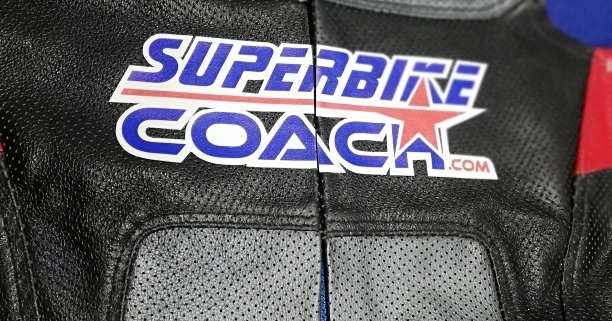 Kangaroo leather is thinner, lighter and has more flexibility. Just to get in and out is way easier because of that. 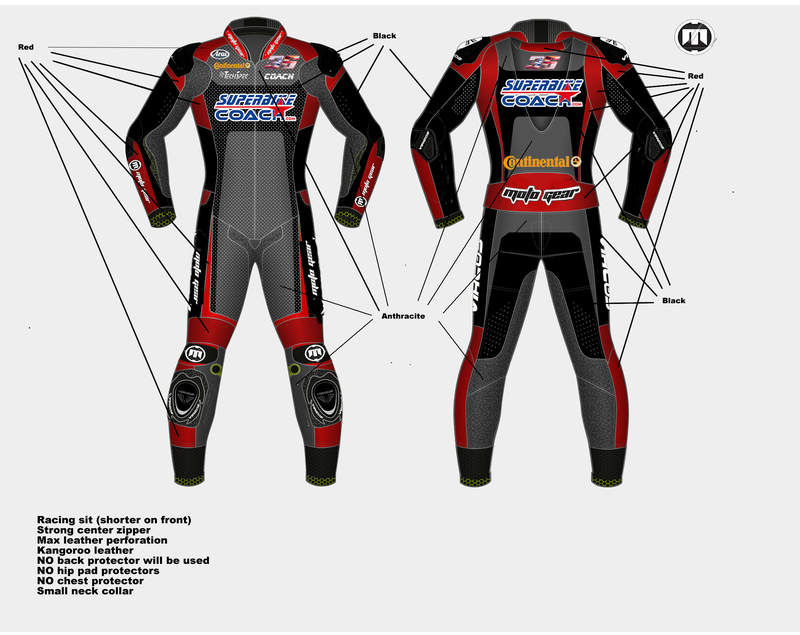 Moto-Gear can make your suit for racing purpose, sport or regular street riding position as 1 or 2 piece. Single jackets are also on their portfolio. I gonna truly enjoy the lightness and perforated leathers in the hot Californian sun. What else is so special with them? 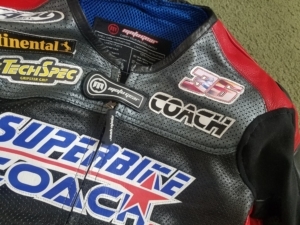 !… Well, they will have a discount for all Superbike-Coach students. Now how cool is that? !